The Argentine was the one who failed the most passes and the one who lost the most balls. Also the one who dribbled the most (4). Strange in him, he even made the wrong decisions. Geniuses also have bad nights. The Messi in San Mamés is the best example. Although the latest fashion in Barcelona is to direct the criticism towards Coutinho and Arturo Vidal as at the beginning of the course they went to Dembélé and that the Argentine is usually surrounded by an inviolable aura, his party in Bilbao was bad. Messi was the worst of the team in three facets of the game. He failed more passes than anyone (15), lost more balls than anyone (28) and was also the one who dribbled the most (4) on his team. 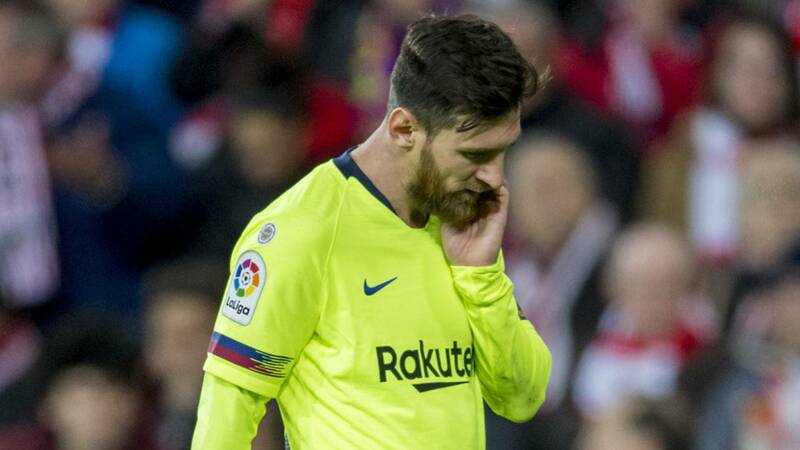 It is true that the whole Barça game revolves around Messi and that the team, as if he were playing in two stages, he elaborates a first action that ends in him so that the Argentine can then choose what the attack plan will be. Hence, it is normal for him to accumulate turnovers when the last pass fails. Player of unique wit, but also with good judgment, in San Mamés took more bad decisions than usual and even blinded in the second part after several fouls of a team that played the limit of the regulation as Athletic. No was a physical matter. Valverde made it clear that Messi played "one hundred percent." He was also cleared by his good friends Luis Suarez and Rakitic in the mixed zone. After being a substitute against Madrid, Messi showed no signs of being diminished by the contracture. Directly, he was a player without success, less clairvoyant than by rule. Supported in Ter Stegen and Messi good part of the season, the German did the part of his work. This time, the muses of the Argentine took vacations.